It was friend Jen’s birthday!! To celebrate this important day, I wanted to whip up something creative. Jen’s bf said funfetti cupcakes were her favorite, so I instantly looked for Vanilla cupcake recipes with a twist. The winner was one that I found in my cookbook, Cook Yourself Thin. A delicious cupcake, with a secret ingredient. 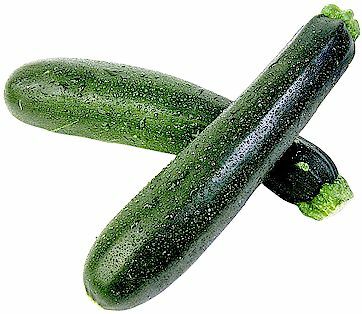 That’s right, Zucchini! This recipe uses shredded zucchini as a substitute for butter cutting calories, fat and cholesterol, without cutting the taste! These cupcakes got our seal of approval! The texture was dense instead of fluffy, which I preferred because it made them more satisfying. With the mix of zucchini, almonds and lemon it was a delicious and health(ier) treat. So what did the birthday girl have to say? 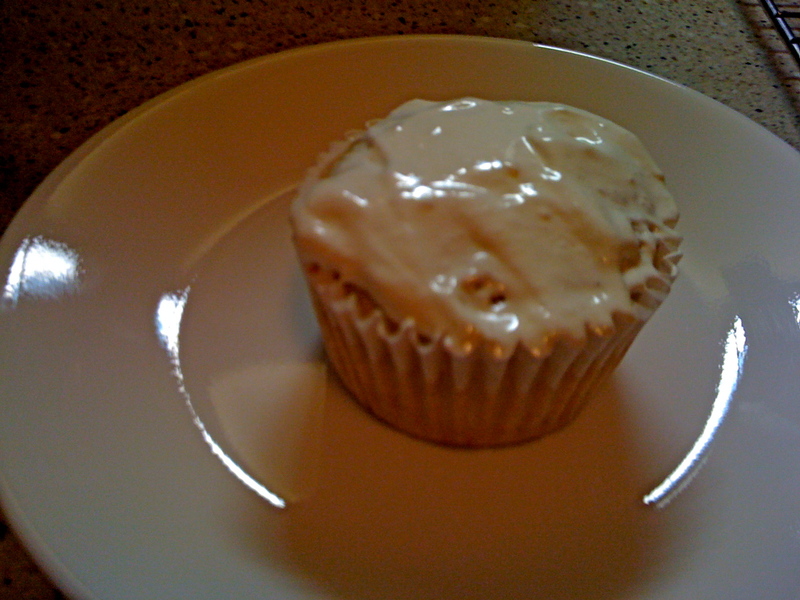 Cupcake success! 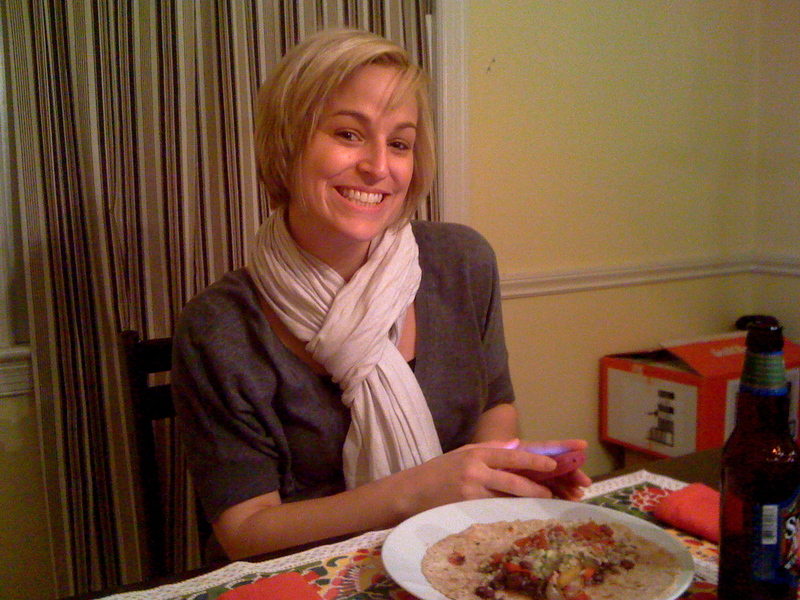 Happy Birthday Jen! 2. 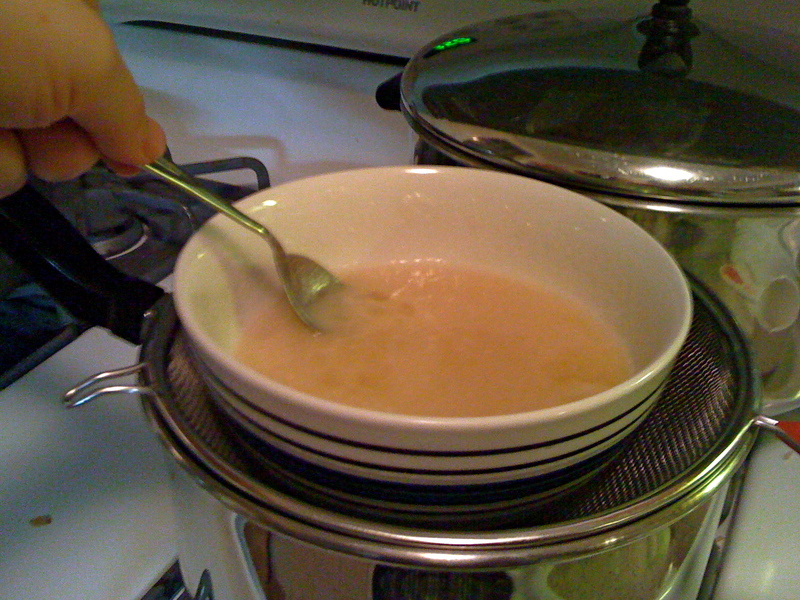 To make the frosting: Combine the egg whites, sugar, salt and vanilla extract in a heatproof bowl set over (not in) a pan of simmering water. 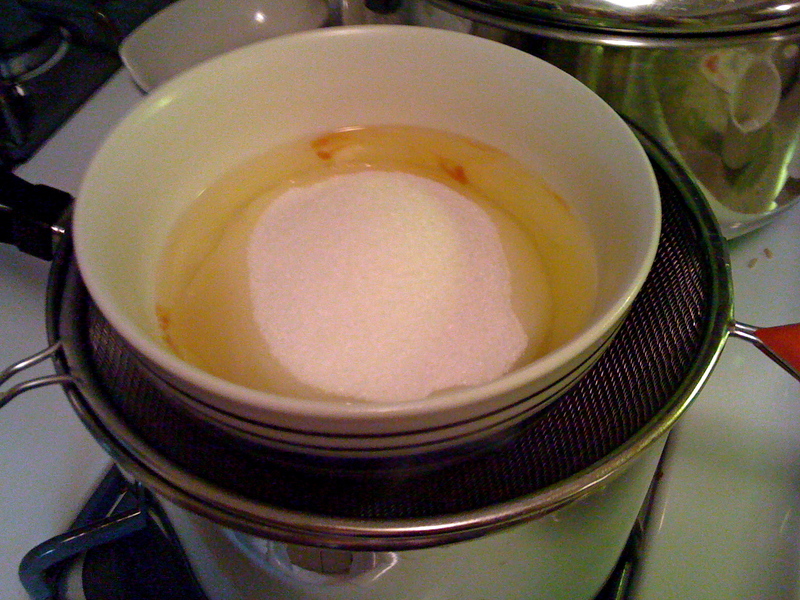 Stir continuously over heat until the mixture is warm and the sugar is completely dissolved, 1 to 2 minutes. 3. Remove the bowl from the heat. 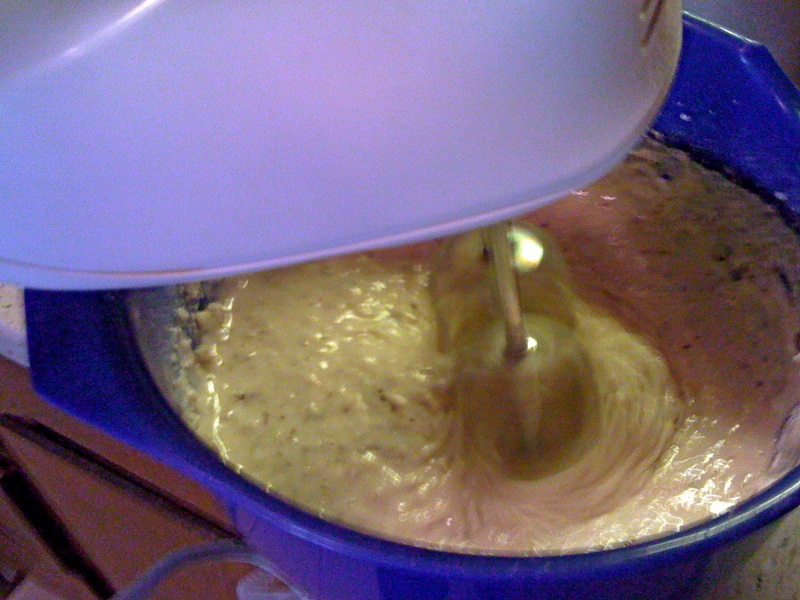 Using a handheld electric or standing mixer set on high, beat until the mixture is entirely cooled, glossy and stiff, about 7 minutes. Blend in the lemon zest until smooth — once smooth, take care not to overbeat or the mixture will get lumpy. 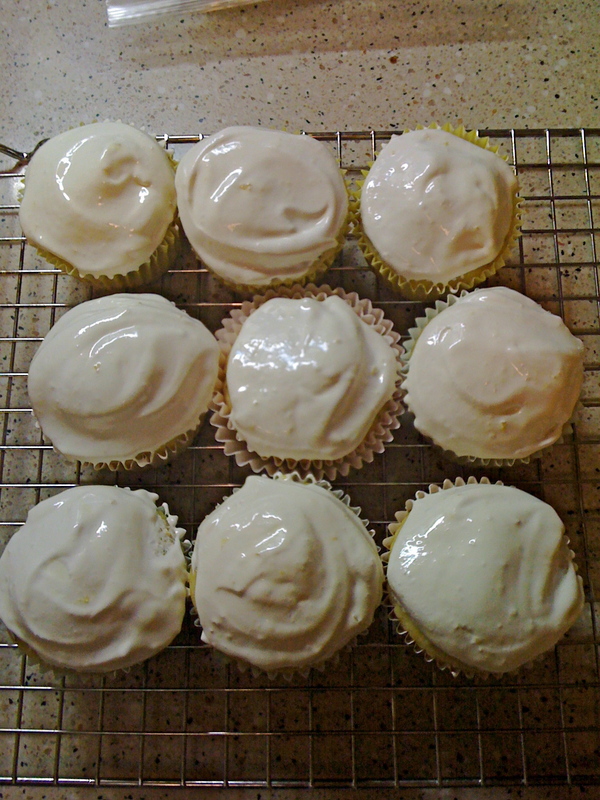 Let frosting set and cool in the refrigerator (at least 30 minutes), while making the cupcakes. 4. 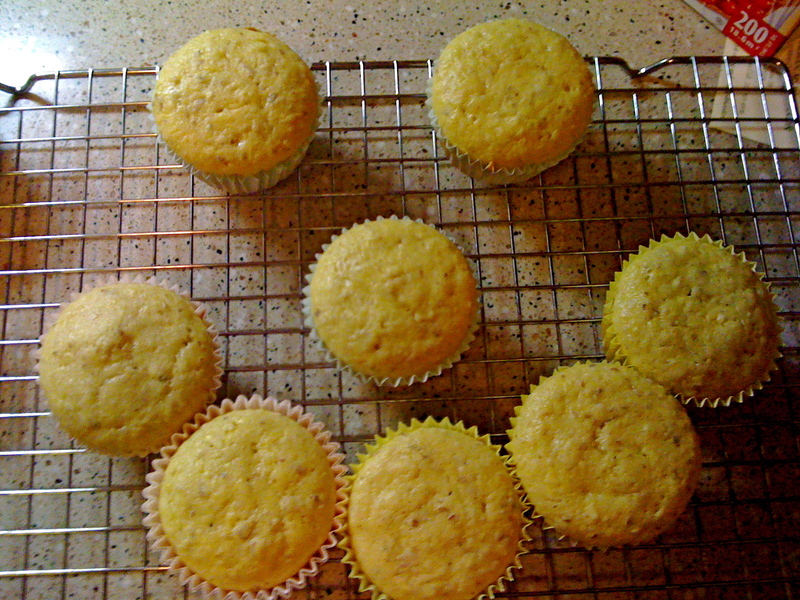 To make the cupcakes: Arrange a rack in the center of the oven. 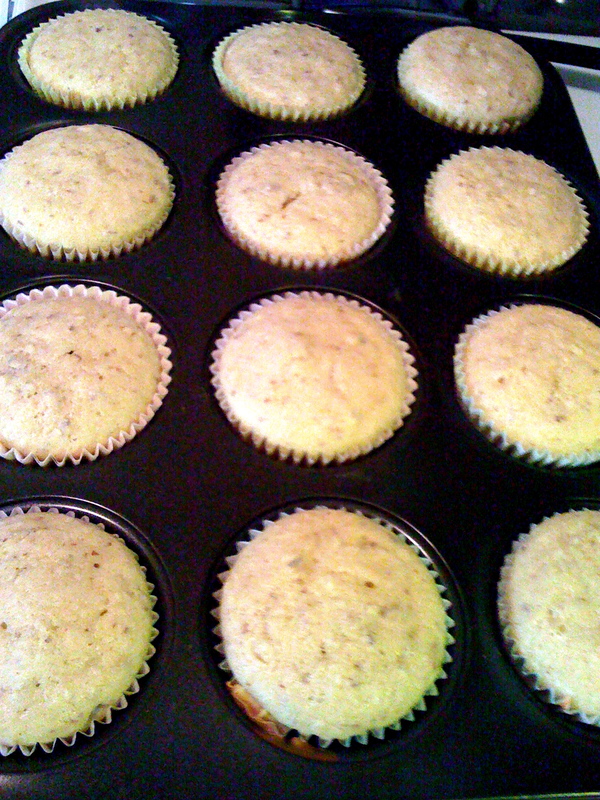 Line a 12-muffin pan with cupcake liners. 5. In a bowl, whisk together the flour, almonds and baking powder; set aside. In another bowl, beat the eggs, sugar, salt and vanilla with a handheld or standing mixer until thick and light-colored, about 4 minutes. Beat in the zucchini on low speed until fully incorporated. 6. Add the dry ingredients and beat on low speed until fully incorporated, scraping down the bowl once with a spatula during beating. Use a 1/3-cup measure to spoon into the muffin cups. 7. 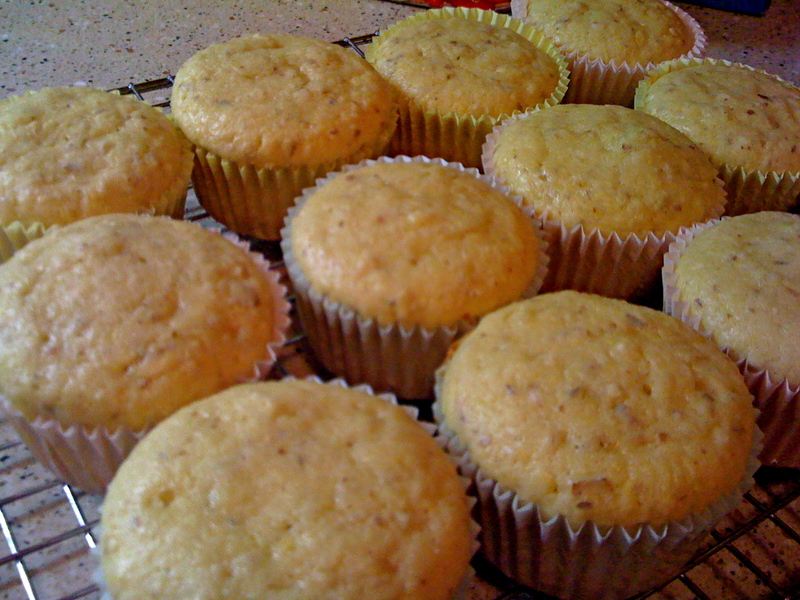 Bake until a toothpick inserted into the center comes out clean, about 20 to 25 minutes, turning the pan midway through baking. 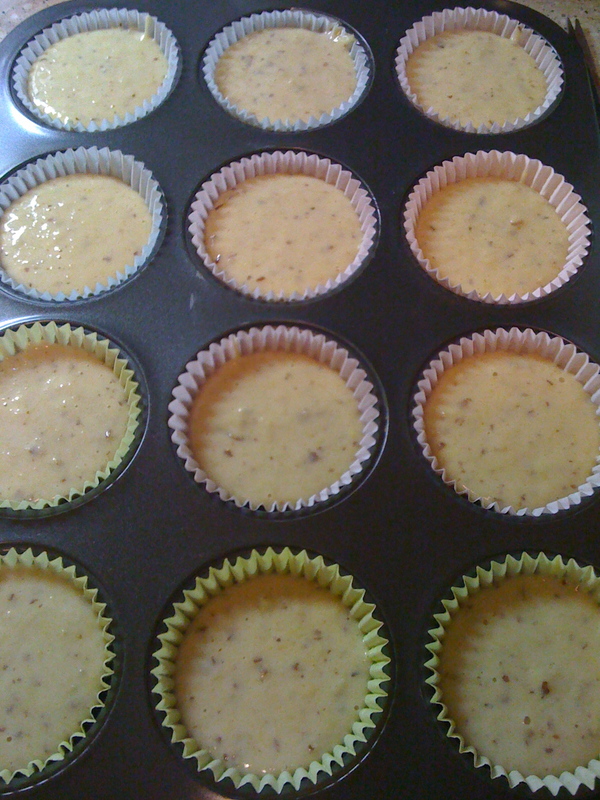 Transfer cupcakes out onto a wire rack and cool completely before icing with the chilled frosting. 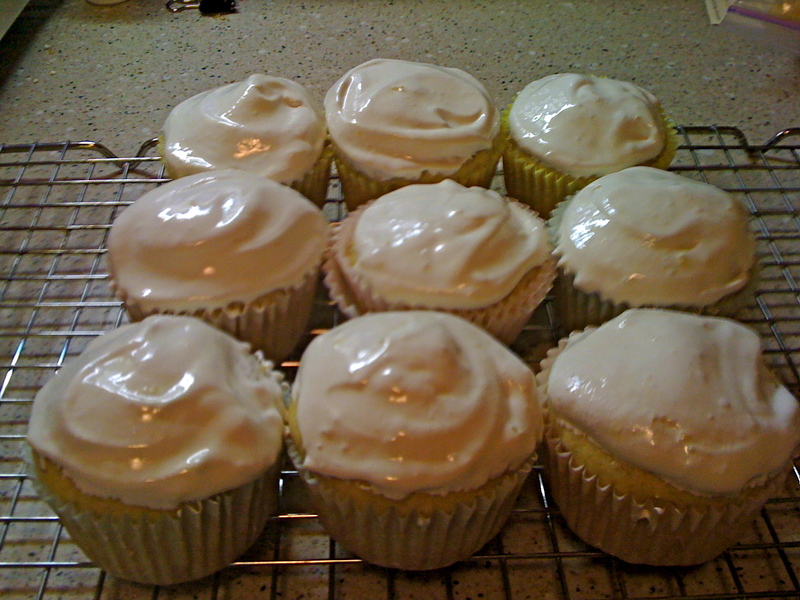 I think you’ll have to make these for me too because my brain just can’t accept that zucchini=butter in frosting haha. Oh wow. They look amazing and just might do the trick to combine my sweet tooth and nutrition. Not many things do it for me that are healthy and this just may be the answer. 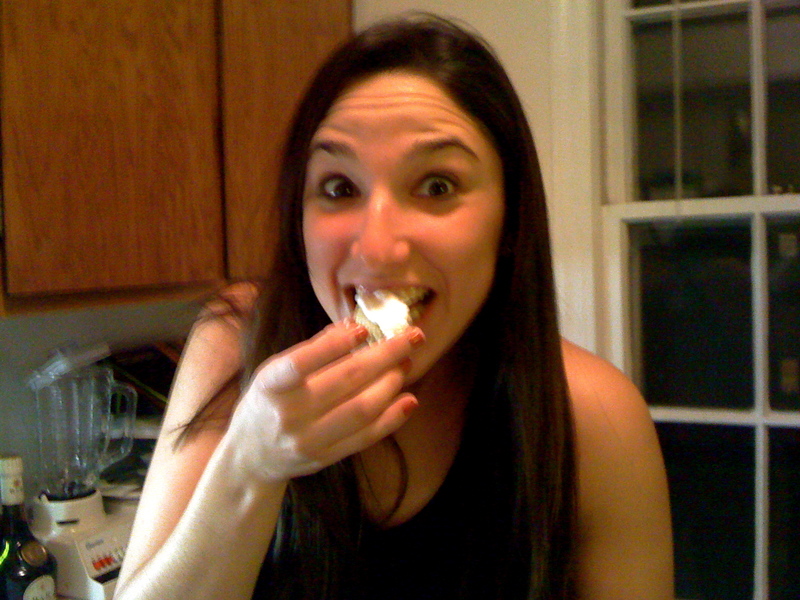 Also I truly love vegetables, like carrot cake lol. Maybe you could try that next with healthy ingredients?? I would appreciate it.